Dr. Smullyan, a mathematician and prolific puzzle creator, taught at Princeton University, Yeshiva University, the City University of New York, and Indiana University. NEW YORK — Raymond Smullyan, whose merry, agile mind led him to be a musician, a magician, a mathematician, and, most cunningly, a puzzle-creating logician, died Feb. 6 in Hudson, N.Y. He was 97. Dr. Smullyan was a serious mathematician, with the publications and the doctorate to prove it. But his greatest legacy might be the devilishly clever logic puzzles he devised, presenting them in books or just in casual conversation. 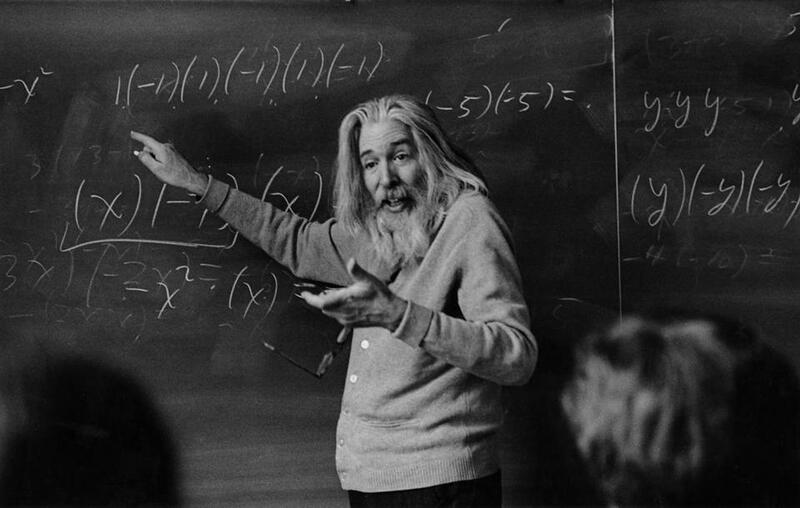 Melvin Fitting, a retired professor of mathematics, philosophy, and computer science at the Graduate Center of the City University of New York, recalled Dr. Smullyan’s demeanor as his teacher at Yeshiva University in the 1960s. “He’d be smiling in anticipation of the many beautiful things he was going to show you,” the professor said. Dr. Smullyan saw beauty in the puzzles he created, seemingly nonstop, over the decades, and viewed them as tools to spread the gospel of mathematics. In his 1982 book “The Lady or the Tiger? And Other Logic Puzzles,” he wrote about the greater popularity Euclid’s “Elements” would have achieved had the Greek mathematician framed it as a puzzle book. Jason Rosenhouse, a mathematics professor at James Madison University, who edited a book in 2015 celebrating Dr. Smullyan, said the clarity of his puzzles could unveil the beauty of math to those who could not previously grasp it. There was, it would seem, some confusing logic in the zigzagging path of Dr. Smullyan’s life. Raymond Merrill Smullyan was born in Queens, N.Y. His father, Isidore, was a businessman; his mother, the former Rosina Freedman, a homemaker. His education was peripatetic and eclectic. He attended Pacific University and Reed College in Oregon, then studied mathematics on his own. He created chess puzzles that were more concerned about moves that had been made than the ones that should be made. He put together a magic act, and performed under the stage name Five-Ace Merrill at nightclubs like the Pump Room in Chicago, where he worked for tips. He earned a bachelor’s degree in mathematics from the University of Chicago and a PhD from Princeton. He taught at Princeton, Yeshiva, the City University of New York, and Indiana University. His philosophy of teaching was a little puzzling. “My policy is to teach the student as much as possible and to require from him or her as little as possible,” he said in 2008. But, he added, the effect of his apparent lenience was that many students worked harder in his course than in any other.